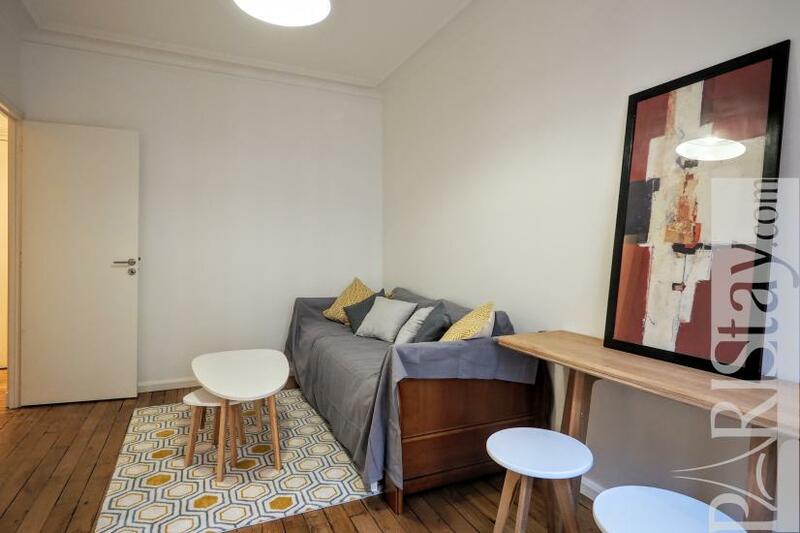 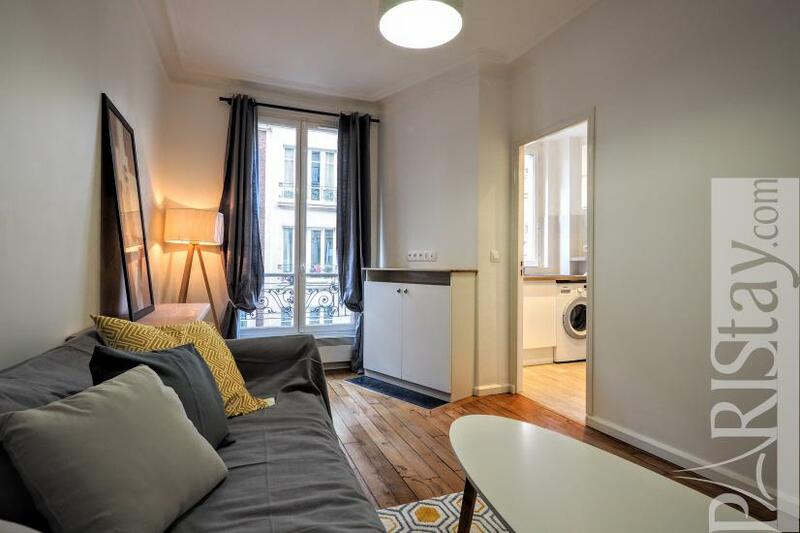 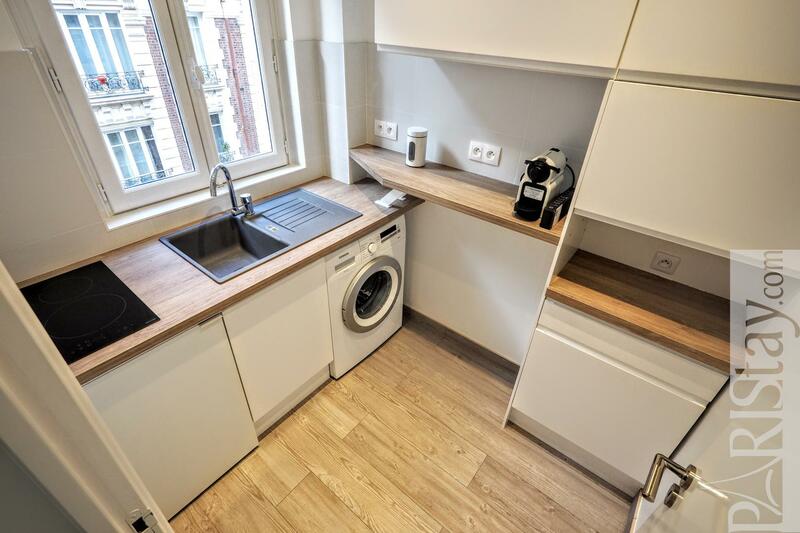 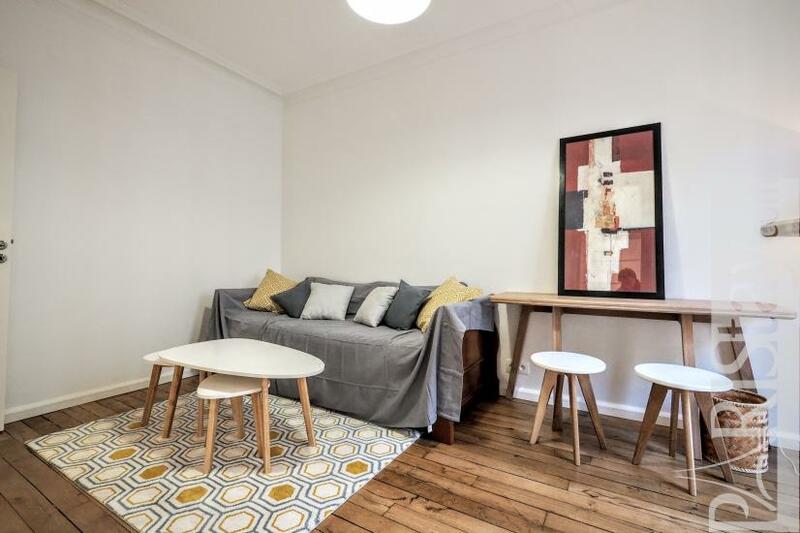 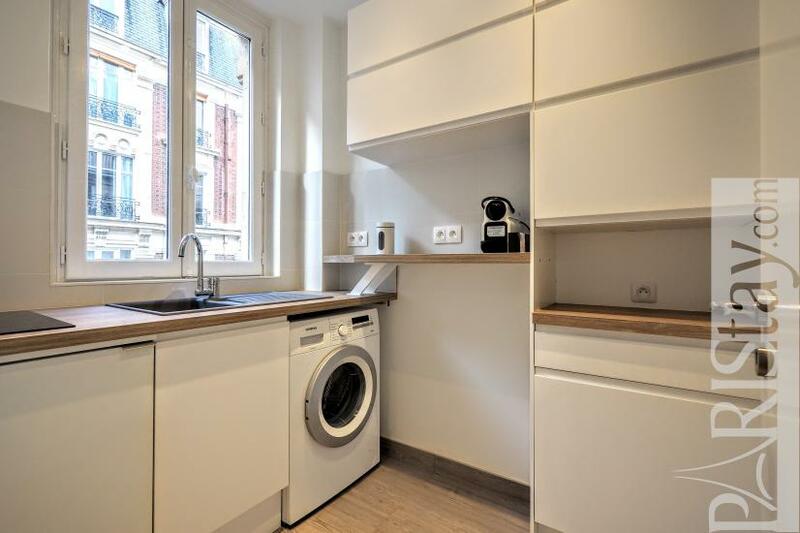 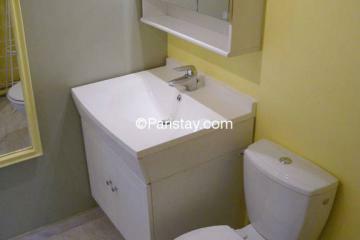 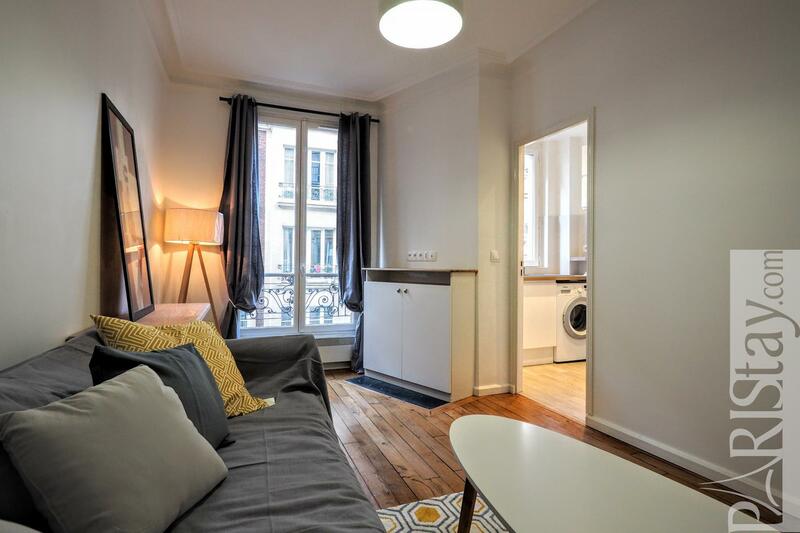 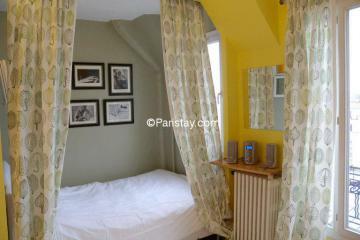 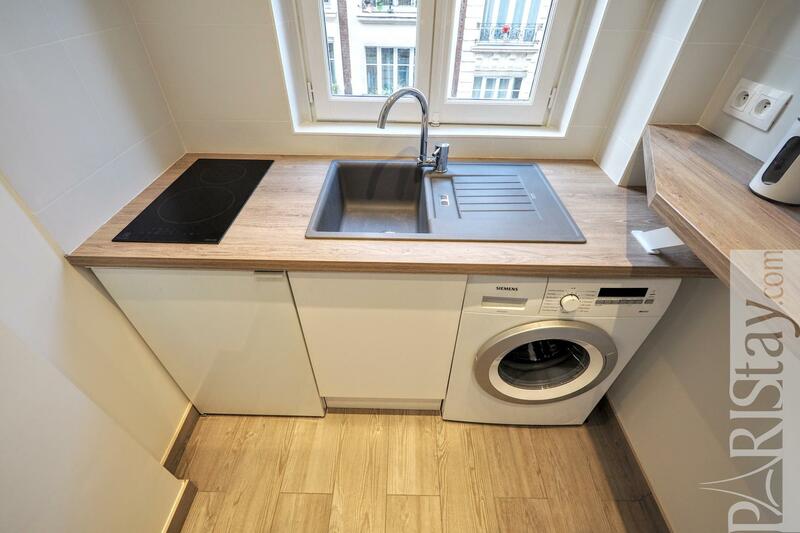 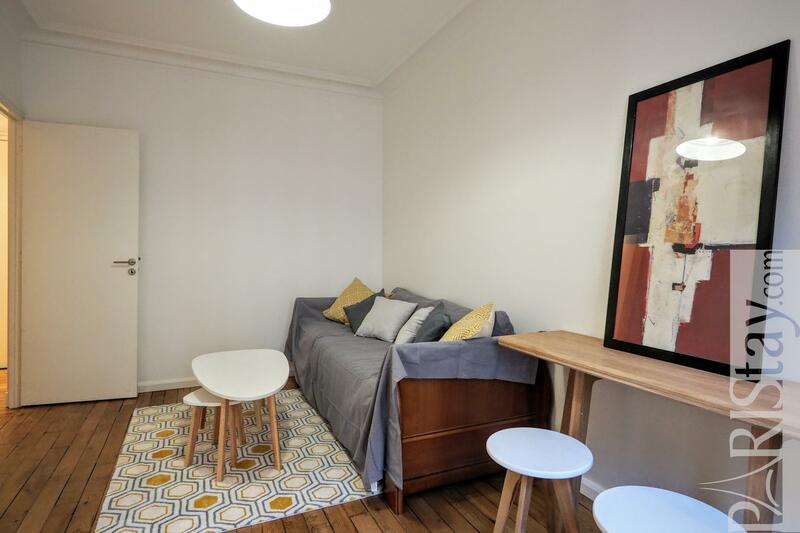 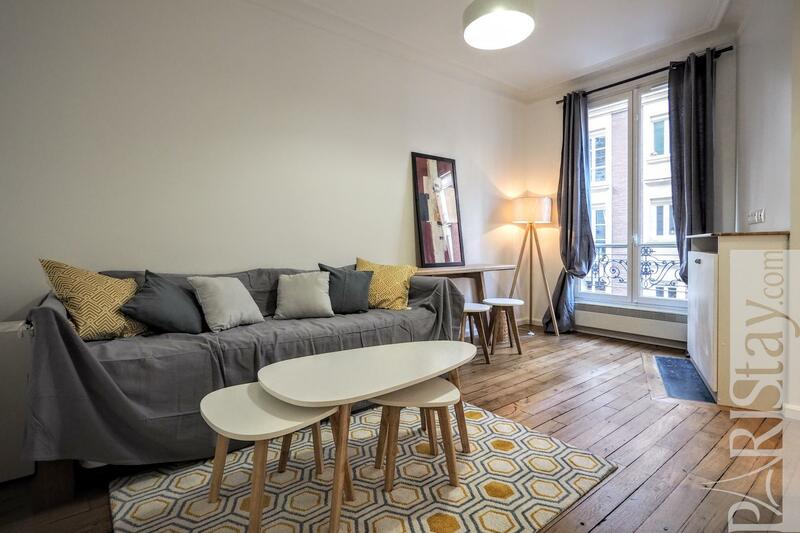 Paris Studio apartment for rent located in the Montmartre district next to the historical headquarters of Pathe cinema that welcomes now the FEMIS international film school. 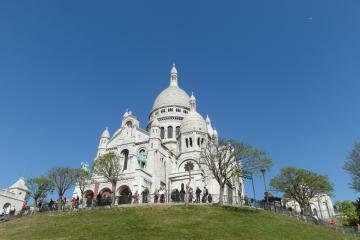 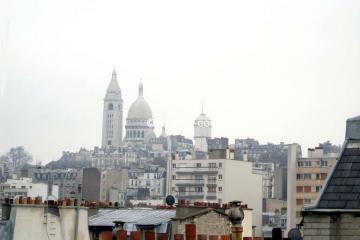 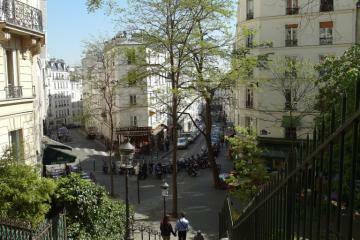 You'll enjoy a real experience in this trendy area of Montmartre. 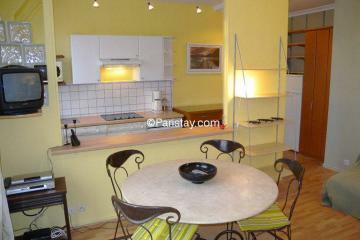 Many cafés and restaurants around, easy shoppping and convenient transportation links close to the apartment. 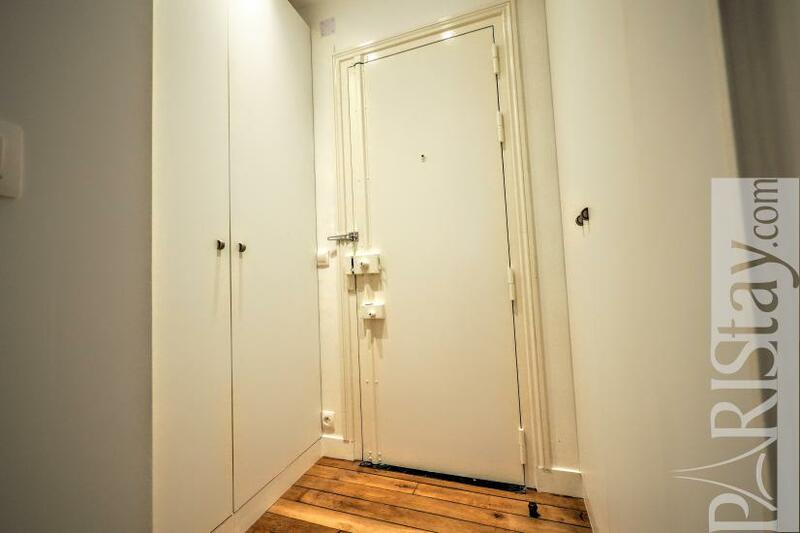 The flat is situated in a quiet building, on the 3rd floor with no lift. 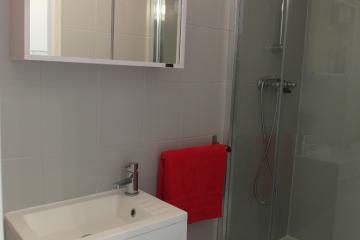 It has been totally renovated and fully equipped. 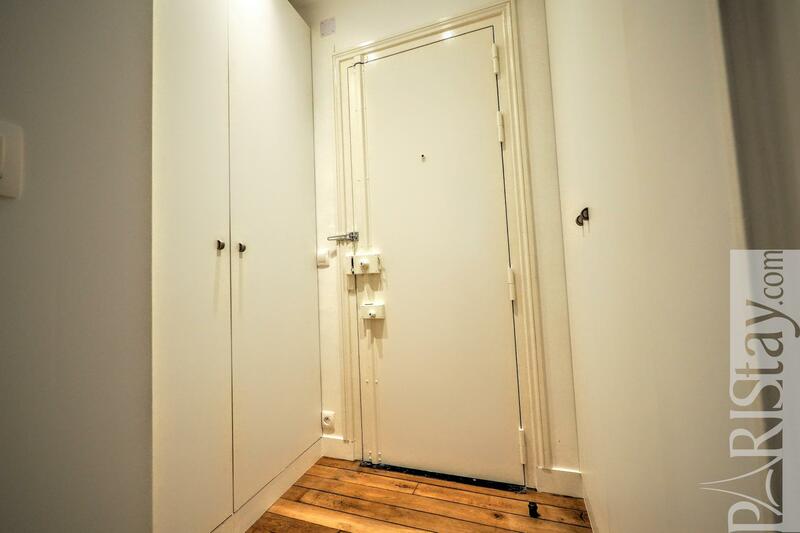 The entrance offers 2 large closets to store all your belongings. 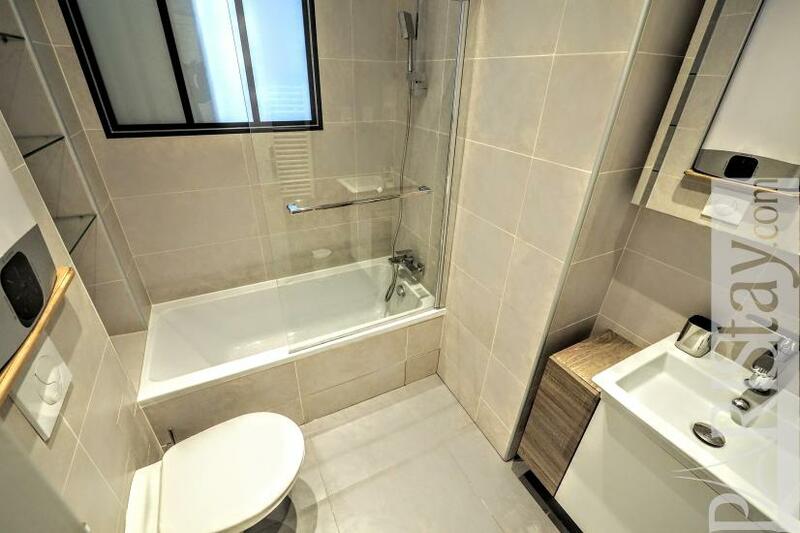 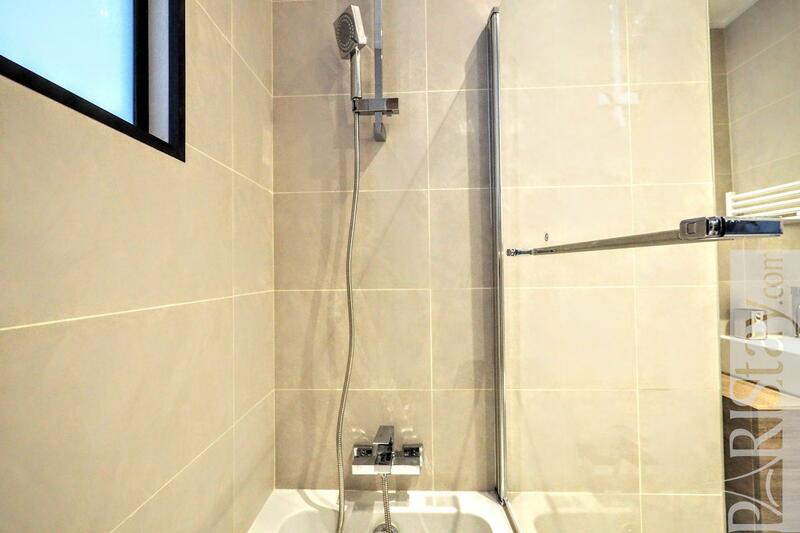 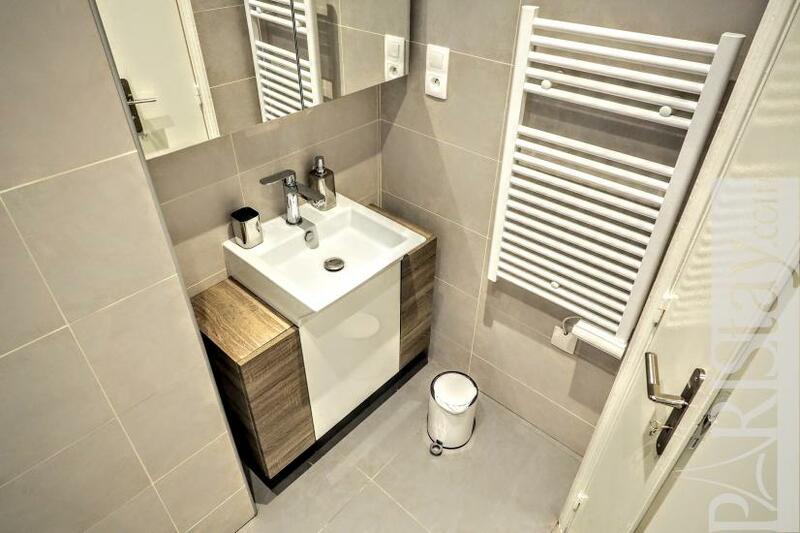 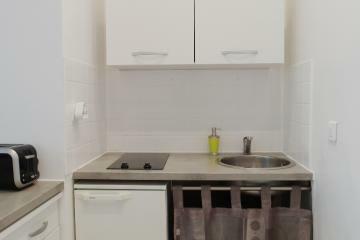 It leads to the bathroom (bath tub) and to the bright living room that offers a convenient truckle bed and a large table and a direct access to an equipped kitchen (washing machine, hob, microwave, fridge). 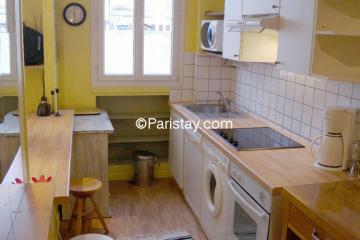 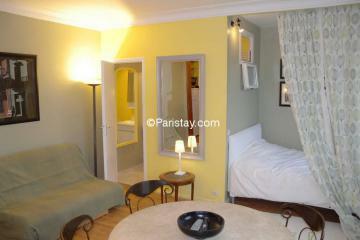 A good deal for a long stay rental in Paris. 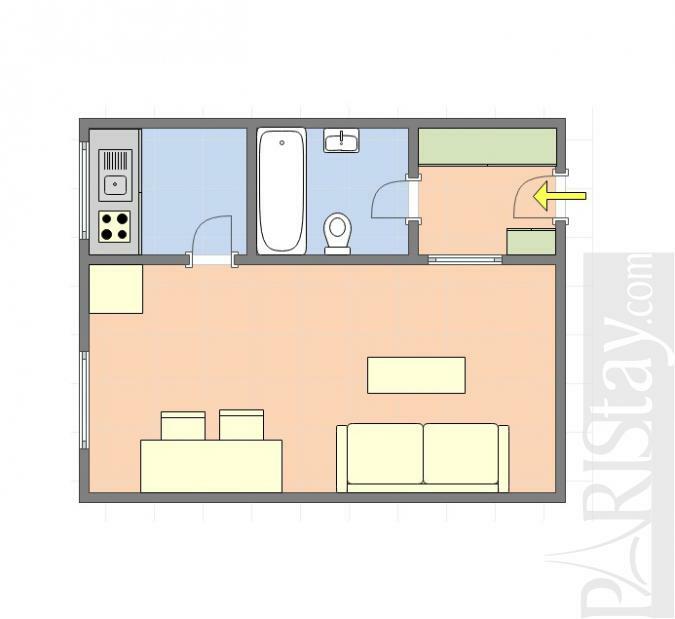 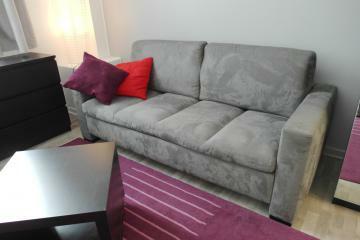 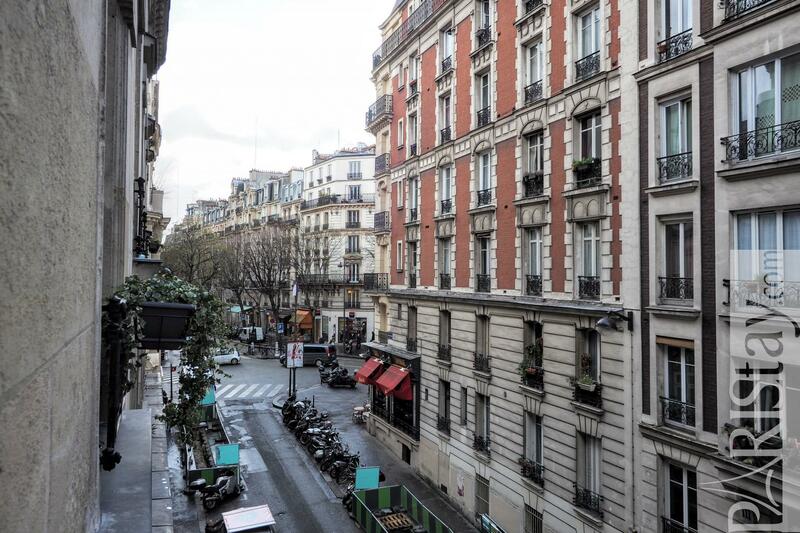 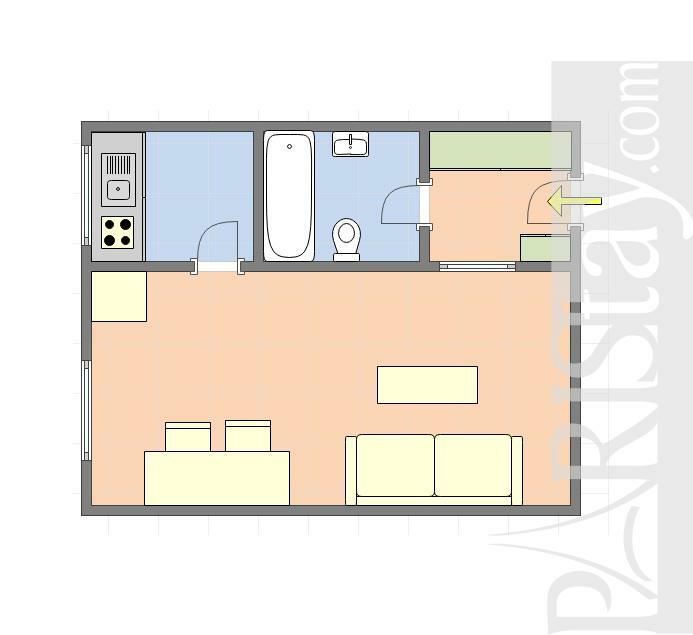 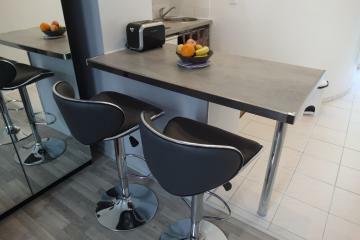 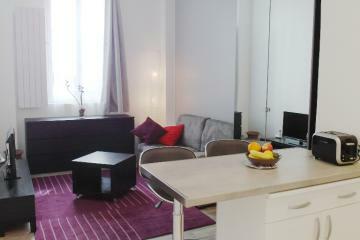 3 th floor, without Lift, Studio Appartement, furnished, Approx: 27m² / 290 Sq.Ft.